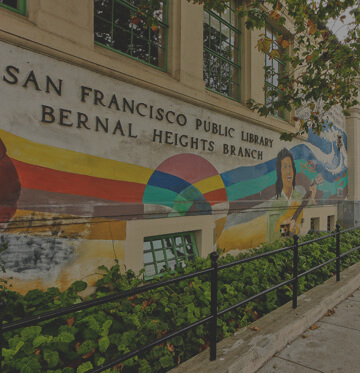 If you’re looking for a quiet and restful spot in the midst of San Francisco’s frenetic energy, look no further than Noe Valley. This affluent neighborhood boasts elegant Victorian houses, cozy cafés, and fascinating book stores. Bordered by Dolores Street, 30th Street, Grand View, and 21st Street, “Stroller Valley” is populated by families, young professionals, and a few retirees. The quality of life is unbeatable – residents enjoy sunny weather, green spaces, and an easy commute to downtown San Francisco and the South Bay. Noe Valley is one of SF’s most desirable neighborhoods, and it’s not unusual for sellers to get multiple offers and bids that are higher than the asking price. If you want to sell or buy a property in this competitive market, you’ll need the help of a seasoned real estate professional. Call me, Jeff Salgado, at 415-915-9916 or send me an email at jeff@jeffsalgado.com. The housing stock is comprised of single-family homes, multifamily homes, and condos. The neighborhood also has the highest concentration of row houses in the city. Victorian, Edwardian, and Mid-Century are prevalent architectural styles, giving Noe Valley a striking appearance. Much of the neighborhood is situated on rolling streets, giving home owners breath-taking views of the surrounding hills. Most homes have two to three bedrooms and one and a half to two bathrooms. Square footage can fall anywhere between 1,000 to almost 5000, consisting of Victorians and Edwardians resplendent with period detail, to modern masterpieces. Shuttles carry tech employees to their offices on the Peninsula, while the J Church Muni Metro Light Rail and the BART station are a stone’s throw from the commuting section east of Sanchez Street. The San Francisco International (SFO) Airport is just a 25-minute drive away. 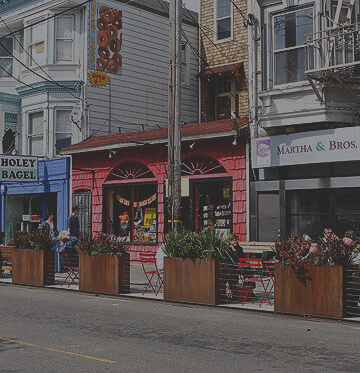 Noe Valley owes much of its clean-cut image to the parks, restaurants, and small businesses that breathe life into the neighborhood. Noe Valley Town Square has a children’s play area and an exquisite edge garden. The park hosts the weekly Noe Valley Farmers’ Market and various community events. The neighborhood’s shopping district, 24th Street, is lined with boutiques and trendy restaurants. Come to Curator for high-end women’s clothing, accessories, and home décor. Two Birds carries boho brands like Haute Hippie, Joie, and Elizabeth & James. A fine selection of locally made jewelry is also available. Phoenix Books sells brand new and second-hand books. Hunt for vintage cookbooks at Omnivore Books on Food. The shop also hosts events featuring chefs and cookbook authors. 24th Street Cheese Co. sells wine, gourmet groceries, deli meats, and artisanal cheeses from all over the world. Braised pork, crusted salmon, and Thai curry are just some of the offerings at Firefly. The restaurant’s warm and welcoming atmosphere is perfect for casual get-togethers. If you’re in the mood for Peruvian, book a table at Fresca. The menu consists of coconut crusted prawns, ceviche, and seared scallops. La Ciccia serves Sardinian fare like seared lamb tenderloin, baked flat bread, and baby octopus stew in spicy tomato sauce. The all-Italian wine list features over 1,700 labels. The intimate setting is ideal for romantic dates and small gatherings. 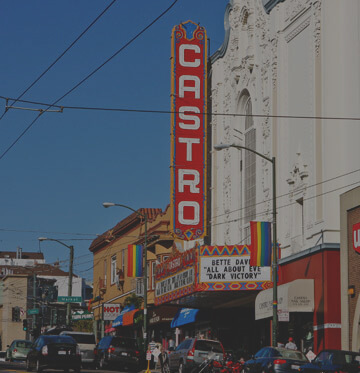 For more information on Noe Valley, visit The Noe Valley Voice website.